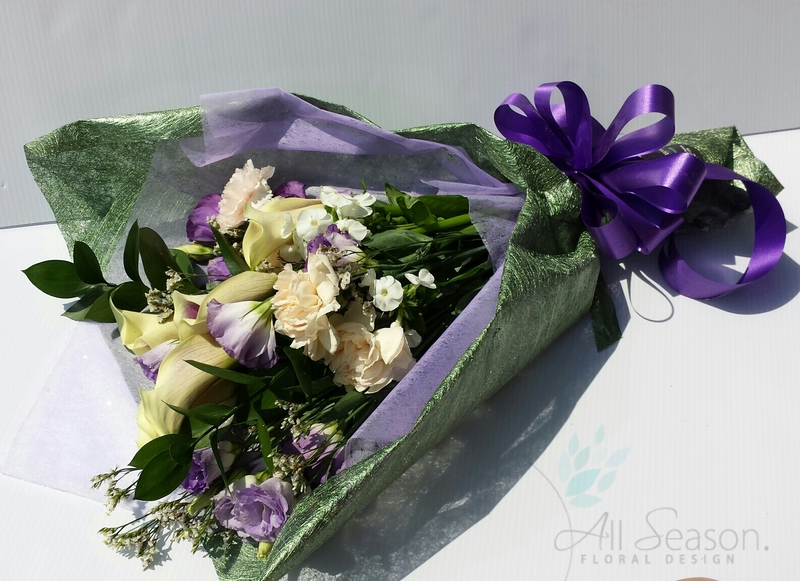 Today I am introducing a perfect gift for your loved ones: contemporary presentation bouquets! 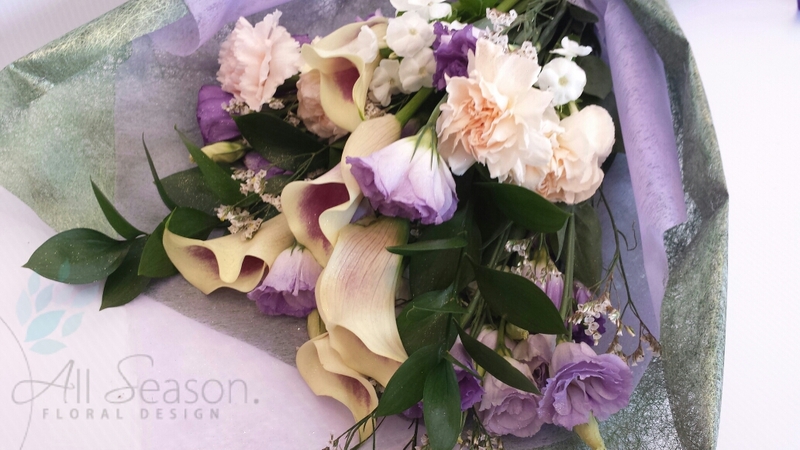 Presentation bouquets are usually created using long-stemmed flowers and arranged linearly so that they are easy to hold while creating an impressive look. 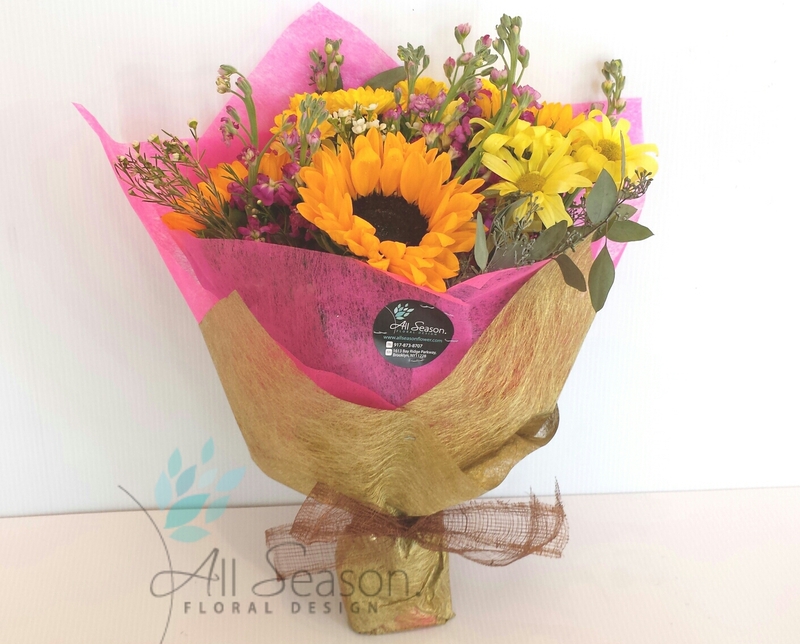 The blooms in a presentation bouquet make an eye-catching and stunning gift! They are so called “presentation” because they are ideal for presenting to the recipient, whether it be to an actress after the curtain falls, or a final year student on their graduation day. I always love using fancy silk & cotton papers in different colors to do the mix and match. Decorations and details are always important in my floral design theory. Using the perfect materials and colors can always make your gift look stunning and unforgettable! If you are interested in DIY-ing your bouquet, try purchasing sashes or wrapping papers from your local craft store. 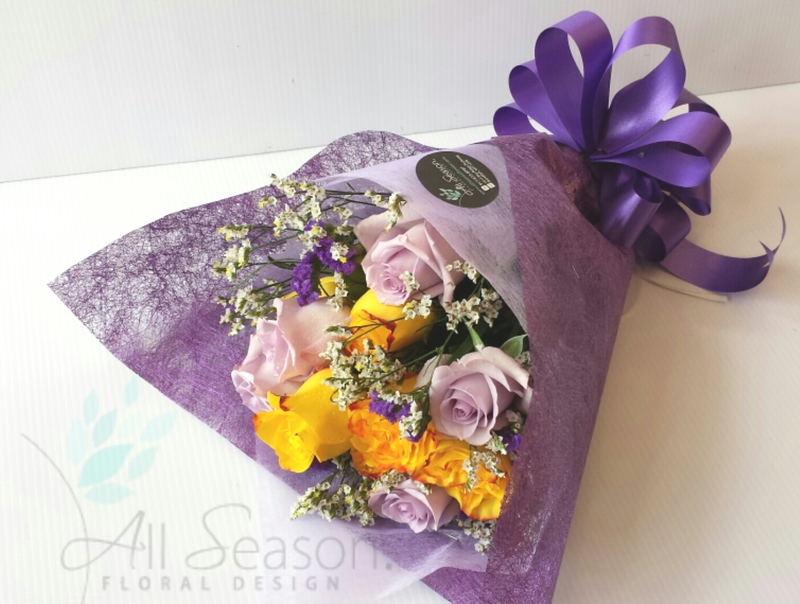 Get the fresh flowers from florist and start wrapping it in a “presentation way”. Do not forget to add a matching ribbon! I’m sure that your loved ones would love what you made for them! 25 Jul	This entry was published on July 25, 2014 at 9:44 pm. It’s filed under Gifts and tagged bouquet, Brooklyn gift, craft, DIY, flower, gift ideas, NYC gift, Presentation Bouqet, Valentine's Day gift. Bookmark the permalink. Follow any comments here with the RSS feed for this post. Older: Summer Wedding – A New Bridal Trend!